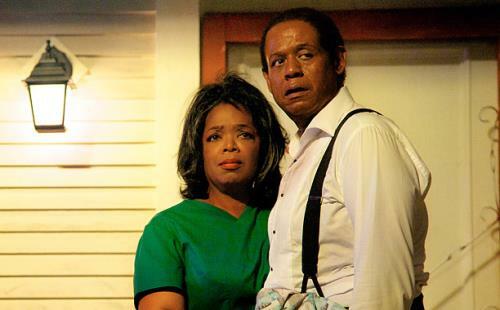 Acclaimed drama movie Lee Daniels’ The Butler scored a whopping $116 million at the box office, a huge number for a so-called quiet film. Inspired by a true story, the movie follows Cecil Gaines (Forest Whitaker, Platoon), who rises up from being a slave boy to a career as a butler serving seven Presidents in the White House. Over the years, he witnesses some of the most tumultuous and defining moments for race relations in the U.S. in the 20th century. The all-star cast also includes Oprah Winfrey (The Color Purple) as Cecil’s wife, plus John Cusack (The Raven), Jane Fonda (All Together), Cuba Gooding Jr. (Machete Kills), Terrence Howard (Prisoners), Lenny Kravitz (The Hunger Games), James Marsden (Robot & Frank), Alan Rickman (Harry Potter and the Deathly Hallows Part 2), Liev Schreiber (Salt) and Robin Williams (Old Dogs). Helmed by the Academy Award nominated director of Precious, Lee Daniels, PG-13 The Butler was written by Danny Strong (TV’s Mad Men) based on an article by Wil Haygood. The Blu-ray/DVD Combo pack also offers a digital copy of the film via UltraViolet.